First of all, I can't tell you how many books you should print. I had enough trouble deciding how many to print myself, and I knew a great deal about my book, its costs, and its market. I don't know your book, its costs, or its market at all. What I can tell you is how many books a group of self-publishing writers printed in their first print runs, and I can tell you what influences the decision. In the summer of 2010, I surveyed the group of Independent Writers at the Sunshine Coast Writers' Festival, asking them a series of questions. Their answers are produced here so you can share their successes and avoid some of their mistakes. One question I asked was, "How many books did you print in the first run?" Even a glance at the chart above shows that in this group of eighteen writers, the choice was generally to print either very few books or a relatively large number of books. It's important to note that this group is in Canada (population about 34 million). Sales of 1000 children's books in one year makes a book a best seller. If you live in another country, you can adjust the numbers to match your population. The largest number of writers (39% in this case) printed fewer than 50 books in their first print run. This number seemed so low to me that I had to ask why anyone would do so much work writing and then print so few books. Here are some of the reasons a person would make such a choice. Some of these writers had no interest in profit and wanted to sell their books at or near cost. Their strategy was to have only as much stock on hand as they could sell quickly. Some had had several small print runs. Some writers didn't have the means to print a larger run. Some authors used the first print run primarily for review copies. Writers send review copies out in the hope that reviews in the right place will create a buzz about the book and increase sales. With reviews in place, the writer orders more books to meet the expected demand. A low print run allows a writer to find and correct any errors without a large cost. Especially if a writer works with a small local printer, there is no other way to know what the book will look like than to have a few copies printed. Some markets are really small, and only a small print run is warranted. In many cases, even 5000 copies would be considered a small print run, but in this survey, I put all print runs of 1001 or more together. This was the second largest group (28%). Printing more books seems riskier, so I asked why these writer made the choice they made. The writers with larger print runs were interested in profit. Note that they hadn't all made a profit at the time of the survey. They did, however, care about making a profit from their books. The rule of thumb for setting the retail price of goods is to take the cost of production and multiply it by 8. If the production cost of a book is too high, the retail price will be so high no one will buy it. 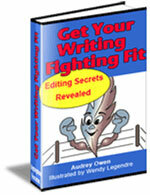 Writers want to send review copies in the hope of stirring up interest in their book. The writers who printed more books wanted the review copies to be as inexpensive as possible. Writers who printed more books were more secure in their final product. They seemed to know more about what they wanted both in the look and feel of their book and in terms of profit. The writers with larger runs tended to know more about their markets. They had ideas about where they would sell their books and printed books in numbers that would fill the need they believed existed. How Many Books Will You Print? How many books you will print will depend on your book and your circumstances. The factors the self-publishing writers in the survey considered can give you some ideas about the number of books that will be best for you. However many books you want to print, one good strategy is to begin saving for that big expense right now. I had saved for a few years, so free from financial worries, I focused on other factors. I still care very much about profit, and I expect my book sales to pay me back and then go on to make me money. But I can't adequately describe the relief I felt when I could tick off the can-I-afford-this box on my mental list when I made my decision. Even if you don't have much money of your own, you can let friends and family know about your special printing fund. Some might want to make donations in lieu of other gifts. In no time at all, when you ask yourself how many books you should print, you will have the money you need at hand.